Here at Acoustics First, we often receive inquiries from business owners who have moved into a commercial building shared with other tenants. Unsurprisingly, the most common acoustic issue is excessive sound transmission between neighboring businesses. In commercial buildings with multiple tenants; such as outlet malls, office buildings and shopping centers, it is important to understand the nature of the neighboring businesses, especially ones directly next to, above or below an occupant. The following are categories of adjacent tenants with distinct acoustic environments which can disrupt or be disrupted by neighboring businesses. Standard Adjacencies: These neighbors tend to be have soft to moderate ambient noise levels that range from about 40-75 dBA, which generally remain constant throughout their operating hours. This often includes low-moderate levels of background music or chatter that has no significant amounts of low bass frequencies. Some examples of these spaces would be standard retail, electronics, clothing, or shoe stores, coffee shops, grocery stores, department stores, call centers, or an office with an open layout. The requirements for sound isolation associated with these types of adjacencies are less stringent, so standard construction practices are generally acceptable. Dynamic Adjacencies: These neighbors come in two categories “loud” and “soft”. The neighbor that would be categorized as “loud” would have an average of ambient noise levels above 75 dBA for long periods of time throughout operating hours. This level of noise sustained over long time periods will conceivably disrupt other neighbors that share adjoining walls. 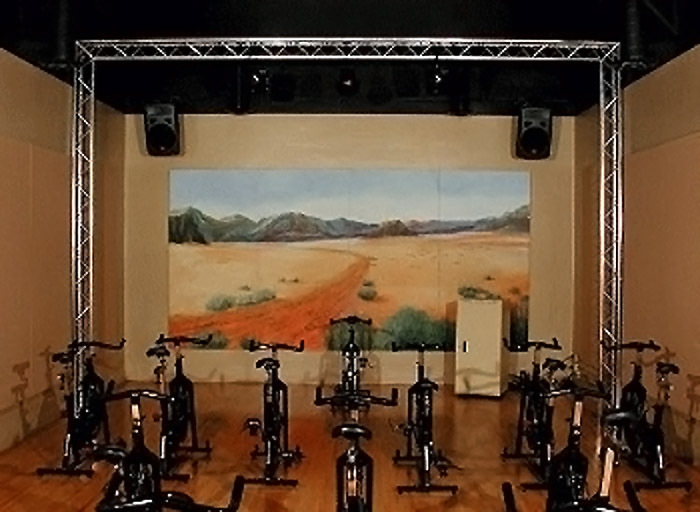 Some examples of these spaces are pre-schools or daycares, kennels (doggy day cares), high-sound-intensity fitness studios (cycling, aerobics, Zumba, CrossFit, etc. ), bars/restaurants with loud or live music, recording studios and live music venues. The dynamic neighbor that would be categorized as “soft” would have average ambient noise levels below 40dBA during operating hours. With this type of noise level, there is less tolerance for excessive noise coming from adjacent spaces/tenants. It’s important to minimize the overspill of noise to these spaces to avoid disturbing them. Some examples of these types of spaces would be doctor or law offices, spas/massage therapy, yoga studios, upscale retail, fine dining restaurants, libraries and book stores. Dynamic adjacencies will usually need specialized acoustic treatment and/or construction in order to control excess noise transmission. If you are surrounded by dynamic neighbors (both loud and soft) or would classify your business as dynamic, you may have to apply fundamental construction and extensive acoustic treatment to control noise transmission. That said, even after taking these precautions, the noise transmission may not be reduced to tolerable levels. Some examples of these situations would be a high intensity fitness studio next to a yoga studio, a live music venue sharing a wall with an upscale restaurant, a Law Office above a Daycare or a recording studio under a book store. Avoid the hassle and expense of extensive construction by choosing your neighbors wisely! So remember: when you are considering commercial locations for your business it is quite possible that you may encounter a number of these issues. It’s always best to design your space with the acoustic requirements of your neighbors in mind. commercial neighbor, dynamic neighbor, neighbor noise.